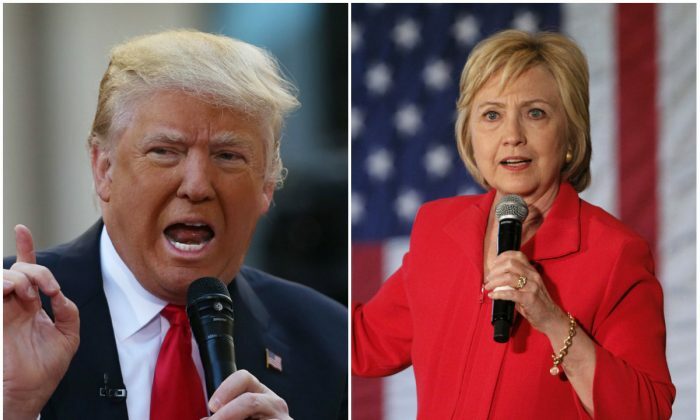 Both Democratic candidate Hillary Clinton and presumptive Republican nominee Donald Trump highlighted the dangers of terrorism in their reaction to the crash of the EgyptAir Flight 804 bound from Paris to Cairo with 66 people aboard. Donald Trump said shortly after news of the plane crash that it “”[l]ooks like yet another terrorist attack,” remarking that the flight departed from Paris. “When will we get tough, smart and vigilant? Great hate and sickness” Trump continued. Looks like yet another terrorist attack. Airplane departed from Paris. When will we get tough, smart and vigilant? Great hate and sickness! “It reinforces the need for American leadership—the kind of hard, steady leadership that only America can provide,” Clinton said. U.S. President Barack Obama received a briefing on the missing EgyptAir plane by Lisa Monaco, adviser for homeland security and counter-terrorism, said the White House. EgyptAir Flight 804, an Airbus A320 with 56 passengers and 10 crew members, went down about halfway between the Greek island of Crete and Egypt’s coastline after takeoff from Charles de Gaulle Airport, authorities said. Greek Defense Minister Panos Kammenos said the plane spun all the way around and suddenly lost altitude just before vanishing from radar screens around 2:45 a.m. Egyptian time. He said it made a 90-degree left turn, then a full 360-degree turn toward the right, plummeting from 38,000 to 15,000 feet. It disappeared at about 10,000 feet, he said. The plane’s erratic course suggested a number of possibilities, including some kind of catastrophic mechanical or structural failure—whether accidental or the result of sabotage—or a struggle over the controls with a hijacker in the cockpit.